Welcome to my first ‘Favourites’ post of 2012. Hooray! This month I’ve been loving quite a few new things, but some of them I’ve already featured on previous posts throughout January. Let me tell you about them in a little bit more detail! 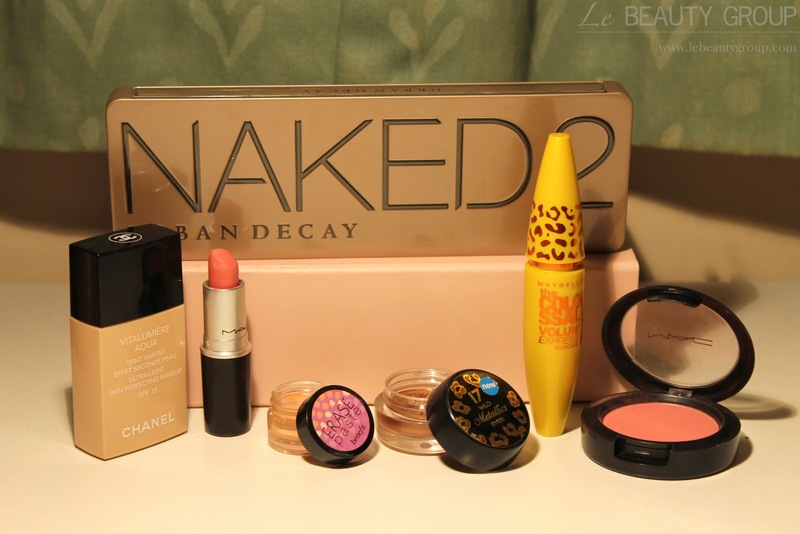 Urban Decay Naked 2 (Debenhams): This is by far my most used makeup product of the month. 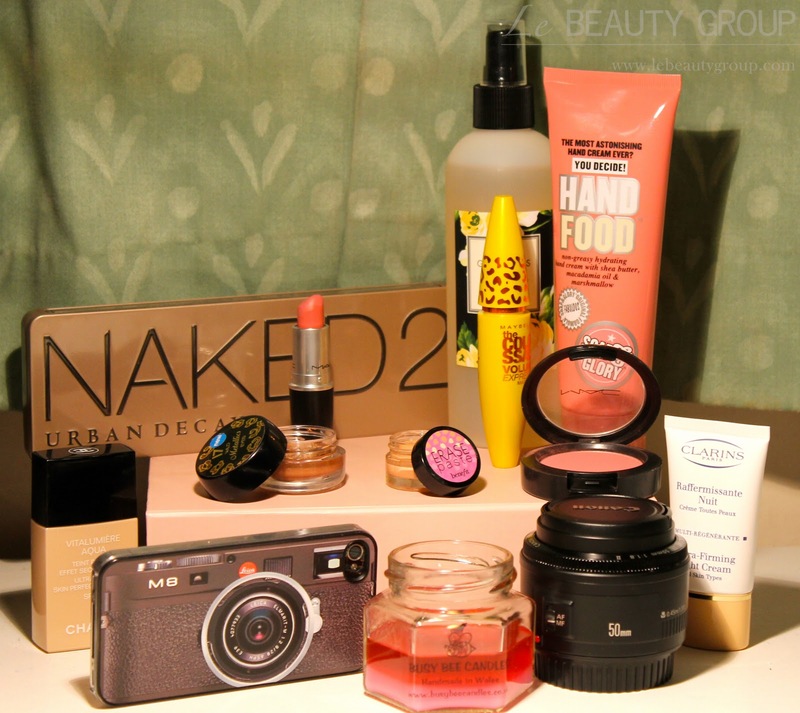 In the beginning of January, Urban Decay launched the Naked 2 in the UK, creating a major buzz in the beauty community. I’ve reviewed this palette (here) and posted two makeup looks, one for the daytime (here) and one for evening (here). Chanel Vitalumiere Aqua Foundation (Boots): I know I owe you a proper review of this foundation, but I seem to always forget. This has been my go-to foundation whenever I don’t want to worry about my skin looking flawless. It has good coverage and a dewy finish. I promise I’ll do a review soon; no more excuses! MAC Lipstick in Please Me (Debenhams): I honestly can’t believe I only bought this lipstick a few weeks ago. How did I ever live without it before? It’s the most pigmented lippie ever, and it’s definitely a staple in my makeup bag. If you want to see what it looks like on the lips, I’ve recently posted a Kim Kardashian makeup look wearing this lippie (here). Benefit Erase Paste (Boots): Another product that has been around for ages, but it only found its way into my collection a few days ago. This concealer works wonders on my dark circles! It conceals and brightens my under-eye area like no other concealer does. I’ve reviewed it (here) recently, so go and check out my review to see before and after pictures and swatches. 17 Wild Metallics Eyeshadow in Wilde Bronze (Boots): I’ve recently rediscovered this eyeshadow and I can’t stop reaching out for it whenever I’m doing my makeup. I’ve been mostly using it all over the lid on its own for a more effortless look, but I’ve also used it as a base eyeshadow to create an intense bronzy smokey eye. Maybelline Cat Eyes Mascara (Boots): If I just want to spend 10 seconds applying my mascara, I go for this one as the application is not messy and it doesn’t require too much tidying and coating the lashes to get a good result. I will admit this is not the most volumising mascara I own, but it does a great job at separating my lashes and making them still look like real lashes with a bit of drama! MAC Blush in Pinch O’ Peach (Debenhams): I finally found the perfect blush for my skin tone. It’s the perfect mixture of peach and pink, and you only need the tiniest amount of this to achieve a good result. I’ve also reviewed this blush on my blog (here), so if you’re interested in a more in depth post about it, go and check out my review. Gilly Hicks Calla Bluff Body Mist (Gilly Hicks): I picked this up when I went to Gilly Hicks to do some sale shopping, and it has an amazing refreshing smell of pineapple. Whenever I enter my room, I grab this and spray myself a couple times. It’s kind of addicting and so yummy I can’t resist! 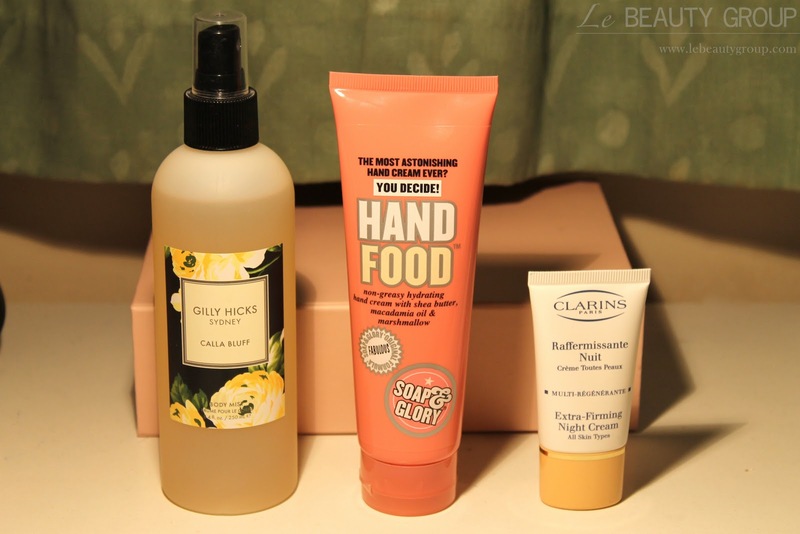 Soap & Glory Hand Food (Boots): This hand cream has kept my extremely naturally dry hands feeling smooth and moisturised now that we have started to freeze to death in Britain. I can’t really rave much about it because it’s only a hand cream, but it does the job. Clarins Extra-Firming Night Cream (Boots): I got this in my January Glossybox (here) only a few days ago, and I’ve fallen in love with it already! It’s a refreshing, non-greasy night cream and it makes my skin feel lovely in the morning after I wash my face. I’ll definitely purchase the full-size bottle when I run out of my sample. 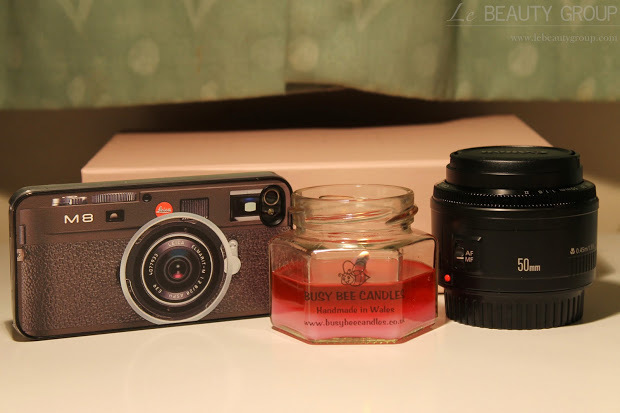 iPhone 4 Retro Camera Case (Amazon): How cool is this iPhone case? I’ve been looking into buying it for a long time, and I finally placed my order on Amazon a couple of days ago. I use my phone a lot to take photos when I don’t fancy carrying my heavy SLR, so having this case on my phone seemed only appropriate :) It’s a bit geeky, a bit funky and a lot of fun! Busy Bee Candles in Pink Lemonade (Busy Bee Candles): I was given this candle as a present from my boyfriend’s mum last weekend. I’m not welsh, but I live in Wales at the moment, and strangely enough, I feel quite proud and excited when we see things in the shops that are made in Wales. This candle has the most amazing smell ever! I feel like an addict constantly sniffing the candle and sighing, but that’s how good it is. And that is all for my January 2012 favourites, girlies! I hope you all enjoyed it and leave a comment below with your favourite product of the bunch :) Also, if you have a blog and are doing a January Favourites post, leave your links below. I’d love to have a little nosey at what you’ve all been loving the past month! Charles Worthington Texturising Spray: A Disappointment? Hi Can you please tell me the camera you use? I loved the pictures and I am also planning to invest in a good lens. Thanks.